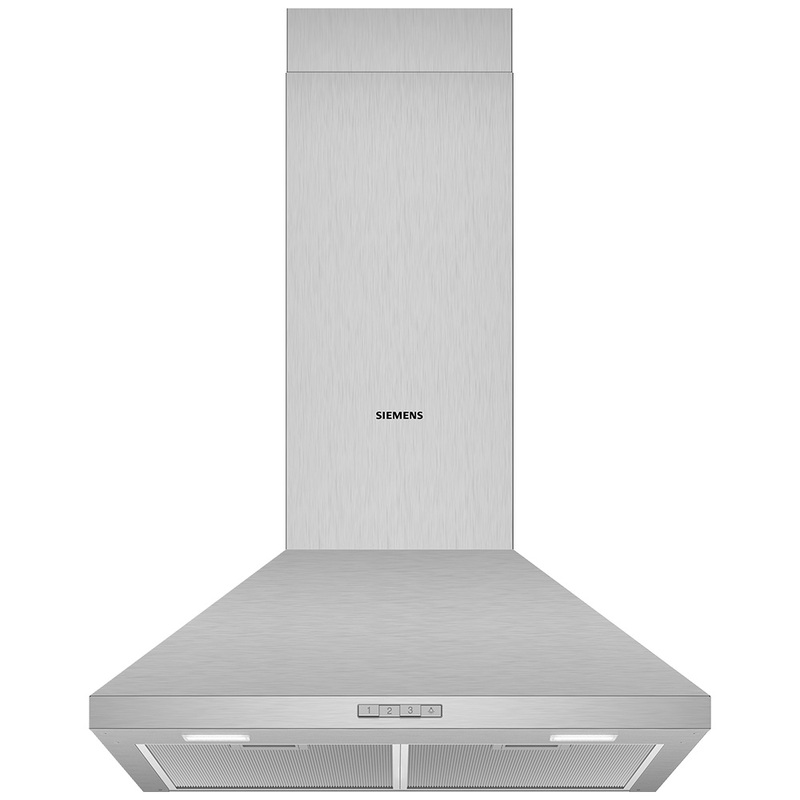 The LC64PBC50B from Siemens is a superb blend of modern technology and traditional style, thanks to the chimney design. Finished in stainless steel it adds a contemporary twist for a real statement in your kitchen. With three power levels you can select the best speed setting for every time you cook, and with an extraction rate of 360 m³/hour you will be rid of unwanted odours and steam in no time! 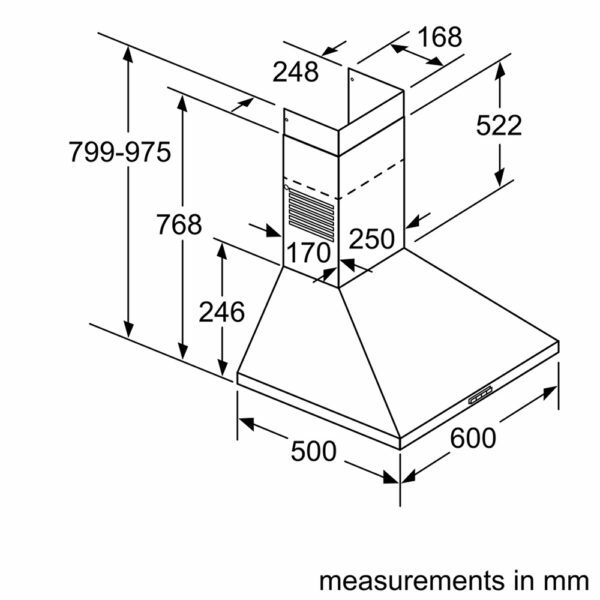 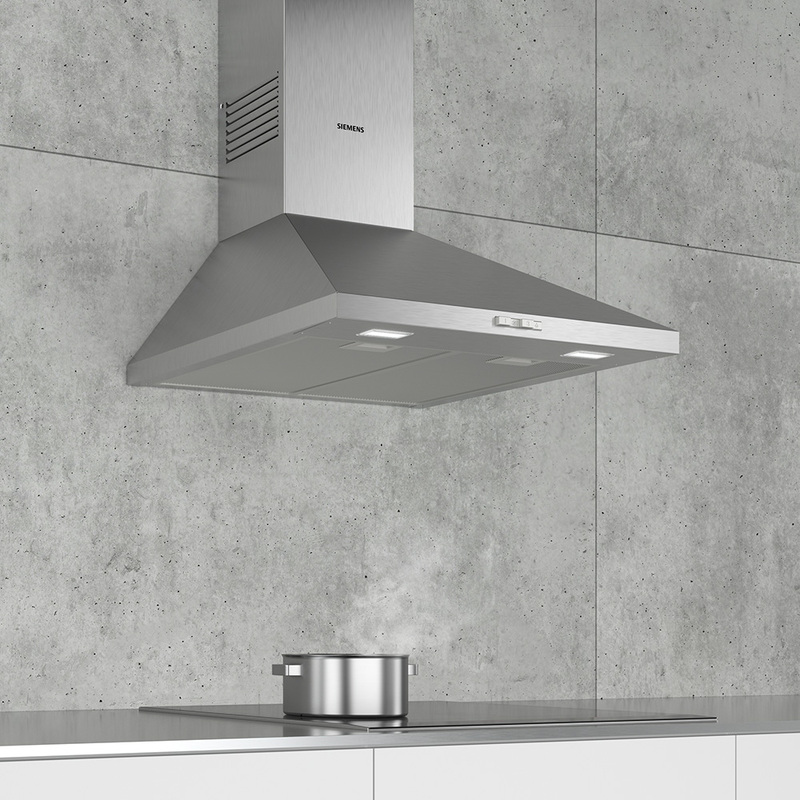 At its most efficient when installed with external ducting, you can use optional charcoal filters to recirculate air if your kitchen design requires it.